I always have a weak spot for any book with bookish references or a story that is at least partially set in a bookstore. So as you can imagine, basically Midnight At The Bright Ideas Bookstore had me at the title. This book has been on my list of most anticipated releases ever since I first heard about for it and I’ve been looking forward to read it for ages now. And I can tell you one thing: this novel by Matthew Sullivan doesn’t disappoint. Or more accurately, I enjoyed every single page of this ‘contemporary puzzle and murder mystery in one’. Midnight At The Bright Ideas Bookstore isn’t just another bookish book and actually presents two different mysteries to solve. The first is related to the suicide of one of the bookshop patrons and the other to what happened to one of the clerks twenty years ago. The plot is intriguing and well developed; the plot twists and revelations well balanced and I enjoyed solving the puzzles along with the characters. This book definitely has some surprises in store! The writing style had me hooked from the very first page and was both highly enjoyable, engaging and made it very hard to stop reading before reaching the final page. The bookish references are a true delight for any booklover and I love the role books play in this story in general. The mystery is also well done and there were definitely things I didn’t see coming. You might start wondering about coincidences and some things seem pretty ‘convenient’, but I personally didn’t care. Midnight At The Bright Ideas Bookstore will go straight to my list of favorites! Lydia Smith works as a clerk at the Bright Ideas Bookstore and tries to live a quiet life among her books and the BookFrogs; the regulars who spend their days in the bookstore browsing its shelves. But then one of the BookFrogs, Joey Molina, kills himself in the bookstore. Lydia was Joey’s favorite bookseller and she inherited his meager possessions… And when Lydia flips through his books, she discovers he has destroyed them in a way that is both intriguing and disturbing. Why did Joey do this and what does it mean? Did he want to leave her a message? I have been looking forward to this title for a while now and it was without doubt just as good or even better than hoped. I had such a great time reading Midnight At The Bright Ideas Bookstore and the two mysteries/puzzles that are included are both fascinating and well executed. The bookish elements are a true delight and I had a great time discovering more about Joey and Lydia, their past and their development. 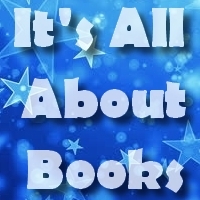 The writing is wonderful as well and made me fly through the pages… All in all I can highly recommend this title. I decided to give Girl In Snow by Danya Kukafka another shot since the deadline is coming up, and this time it’s definitely going a lot better. I can’t say I love it, but it seems to be a very fast read so far. 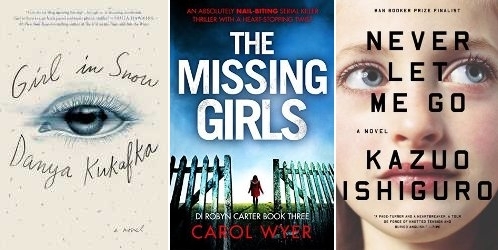 As soon as I reach the final page, I’m picking up The Missing Girls by Carol Wyer. I’ve been dying to read this book ever since it appeared on my kindle and I can’t bear to wait any longer! I’ve also posponed Never Let Me Go by Kazuo Ishiguro for now because I just can’t get into the story. There is a lot to love in Dead To Me and I would probably have given it a lot higher rating if it wouldn’t have been for the main character Kate. Sadly I couldn’t ignore the fact that she is the most important character of this new series and the whole story is told around her… And it’s really hard to properly enjoy a story when you absolutely despise the main character, no matter how good the writing and plot are. The writing, plot, twists and intense feel were more than promising and I do hope there will be a ‘Kate-less’ thriller by his hand in the future. Reincarnation Blues isn’t the type of book I normally pick up, but sometimes browsing outside your comfort zone can bring some very pleasant surprises. This book turned out to be a hidden gem and I really enjoyed following Milo’s story as he lives his lives through time and space. 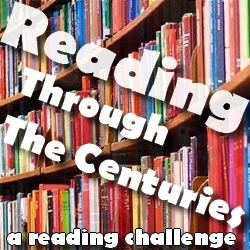 Some chapters were a bit too futuristic for me, but that is probably mostly me since sci-fi isn’t really my genre in the first place. The writing was wonderful though as well as the rest of the story. I was pleasantly surprised by just how easy it was to read this classic. Sure, the dialogues felt a bit dated, but the rest of the writing read naturally and made it really easy to enjoy Mowgli’s story. The other four stories included afterwards weren’t as enjoyable for me and lowered the rating a bit, but all in all I can definitely recommend The Jungle Book to those who are looking for an easy and entertaining classic. The songs at the beginning of the chapters were a nice touch! 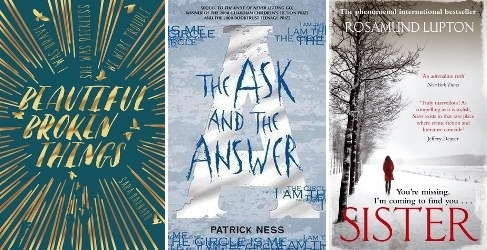 I really need to pick up The Secret Of Heaven by Felix Alexander since it’s an ARC way past due… Afterwards I’m probably going to pick up Monsters Of Men by Patrick Ness next because I really want to know how the story ends. I also need to read The Accident by S.D. Monaghan to help me clean out my Netgalley shelf (which is going really well as I only have eight titles left; and two less after I finish my current reads). My newest TBR jar pick is still The Kind Worth Killing by Peter Swanson. Looking forward to be reading it soon! 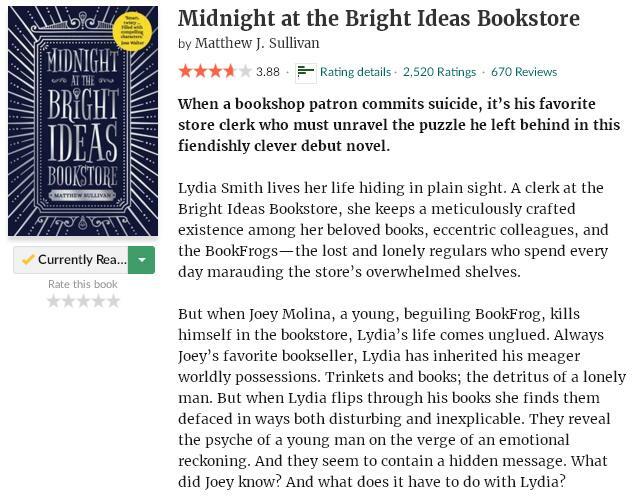 I’m currently reading Midnight At The Bright Ideas Bookstore by Matthew Sullivan, another pending Netgalley title and one I’m really excited about finally reading. I love books about books! I’m not all that far into the story yet, but I definitely like the writing style so far and can’t wait to further dive into this story. 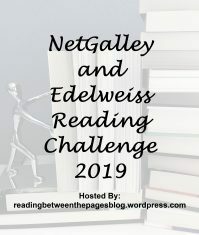 I’ve just started with Never Let Me Go by Kazuo Ishiguro, a title I’ve decided to finally pick up since I needed to read an author starting with the letter ‘I’ to complete my ABC Author challenge. I also need to read Dead To Me by Stephen Edger since the publish date is coming up soon… And I picked another classic to read: The Jungle Book by Rudyard Kipling. I still can’t believe I’ve never read this book before! I must have seen the Disney movie a dozen of times when I was little. Initially I thought I was really going to enjoy this story and the writing style is without doubt enjoyable at first. I can’t point out the exact moment I started to enjoy Beautiful Broken Things less, but there is no doubt that the final part of this story didn’t live up to the promising start. There were certain things that started to bother me: the cliches, some of the characters and the way they act and think, the way important (darker) themes are handled… All in all not what I expected. Just give one look at that cover and you will get a pretty good idea of what is waiting for you inside. The illustrations of The Little Red Wolf are absolutely gorgeous and will make you happy by just looking at them. They are very detailed as well; full of little drawings inside drawings to discover the longer you look at each page. The story itself is a mix of typical fairy tale and something a bit more darker and haunting, which is why I don’t think it’s suited for the youngest readers… But age 6 and up should be ok depending on how sensitive the child is to tragic themes. If you enjoy reading fast-paced, intense and slightly twisted thrillers, you will definitely be in a treat reading Hide And Seek. This story will have you in its claws right from the very first page and trust me, it will be very hard to stop reading before you reach the final page. Hide And Seek is a kidnapping story with a twist and a LOT of action and suspense. The only thing I wasn’t sure about involved the characters, but that was only minor compared to the rest of the story. Recommended! It’s been too long since I read the first book, so I can’t properly compare the two… But what I do know is that I enjoyed The Ask And The Answer just as much as the first book. I had once again the same reaction to the slang the men use in Todd’s chapters, which I found mostly highly annoying. That would be my only real complaint though and I still thoroughly enjoyed this sequel. I’m definitely going to read the third and final book soon now! I’m probably going to pick up Monsters Of Men by Patrick Ness next because I really want to know how the story ends… The only reason I haven’t already is because I still need to finish my review of book two. I also need to read Girl In Snow by Danya Kukafka urgently and Midnight At The Bright Ideas Bookstore by Matthew Sullivan is also high on my list. My newest TBR jar pick is still The Kind Worth Killing by Peter Swanson. I’ve been wanting to read this title for ages so I saw it as a sign it was about time I did when I opened the paper. Looking forward to be reading it soon! No cover displayed since it’s basically a swearword… It might just have been I wasn’t in the right mood when I read Americosis Volume 4 and that’s why I rated it slightly lower than the previous three… But I did feel the excessive swearing and graphic scenes started to get out of control. It does read like a train and is basically an explosion of action and absurdness right in the middle of a dystopian America. The right person will probably love Americosis, but it is without doubt an acquired taste. The storyline set in the future was fascinating though! I really wanted to like The Lost Book Of The Grail and there were certain elements I did enjoy very much. The history of Barchester and its secrets is fascinating and I’m sure many will appreciate the bookish quotes and references. The pace is incredibly slow though and the plot feels both a bit chaotic and lacks action. I also had problems connecting to the characters and felt they lacked character development or at least originality. Such a shame! I wanted to read this one as soon as I saw the cover and this story definitely didn’t disappoint. Both the writing style and pace made it really easy to read this serial killer thriller and the case itself was intriguing. Lots of plot twists and potential suspects to keep you guessing and I always like that! I wasn’t completely charmed by the characters, but that would be my only complaint. Looking forward to book two! I picked this up looking for something different and I definitely got what I wanted. I’m still not sure what to make of this book, as there were things I did and didn’t like… The writing style and tone are very unconventional, blunt, brutally honest but also refreshing. There was a lot of swearing involved though… I’m not sure I actually liked the characters, but I could appreciate the well incorporated themes such as mental illness, depression, suicide, midlife crisis and hoarding. I think it’s the first story I’ve read with a hoarder as one of the characters! 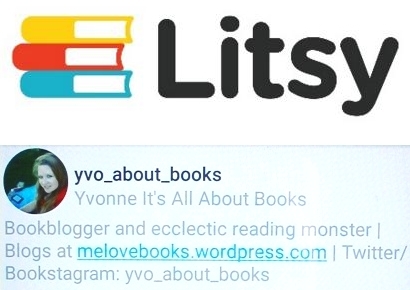 I have been wanting to read one of her books for ages and was actually going to pick up one of her other titles first, but decided to tackle The Lying Game first due to mixed reviews. I started with caution, but soon found myself hooked due to the writing style. Even though this story isn’t as fast-paced as I would have liked, it was the writing style that still made me thoroughly enjoy this story and the mystery around what happened all those years ago and what the friends are hiding. I can’t say I liked the character (actually despise Isa for how she treats her baby daughter), but the story itself was intriguing. I can’t wait to read her other books now! I’m going to pick up Hide And Seek by Richard Parker as soon as I finish Beautiful Broken Things, most likely later today, since I’ve been in the mood for a thriller and I liked how intense his other book was. I also want to read Midnight At The Bright Ideas Bookstore by Matthew Sullivan… And A Different Blue by Amy Harmon is high on my list as well. I’ve been eying her other book The Bird And The Sword as well, but decided to read this one first since it’s a stand-alone. I also have a new TBR jar pick! Number 35 since I started using it: The Kind Worth Killing by Peter Swanson. I’ve been wanting to read this title for ages so I saw it as a sign it was about time I did when I opened the paper. Looking forward to be reading it soon!